Chapter 3 - CIS 4372 HCI and Data Viz. With the expansion of computer use to more than just technically oriented programmers, the complex interfaces of the past are no longer accepted. The current user population are not as dedicated to the technology as they used to be. Their use of computers are tied more for their work needs and the tasks they perform, while the use of computers as entertainment has increased. Designers need to observe current user’s trends to produce high-quality interfaces that accommodate the users’ skills, goals, and preferences. 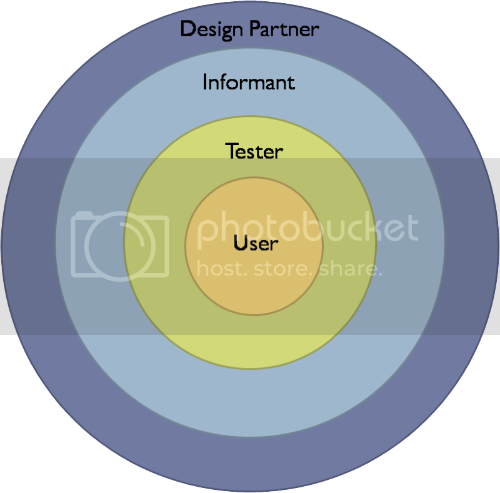 Designers seek direct interaction with users during requirements and feature definition, the design phase, the development process, and throughout the system life-cycle through iterative design methods. Usability engineering has evolved into a recognized discipline with maturing practices and a growing set of standards. Organizations recognize the role of usability for productivity. With the increase of novice users, products with similar functionality can succeed or fail due in part to good usability engineering. A shift in focus towards usability constitutes an organizational change to be managed. The benefits of this change are; shorter learning times, performance, error reduction. The Return on Investment (ROI) in major corporations is always questioned, the benefits must be made clear. As projects become more complex, the critical specialization in the field of usability and HCI increases. Their are interface-development activities where the ROI for usability analysis is not immediately apparent, but usability of the delivered systems crucial for success. Some industries, like aerospace, have Human Systems Integration (HSI) requirements that deal with human factors, usability, display design, navigation, and son, while meeting customer requirements. As user-interface design matures, projects grow in complexity, size, and importance where the UI designs take on new perspectives. Usability engineers and user-interface architects (UX) gain experience in managing organizational change. Design is inherently creative and unpredictable. The design process is non-hierarchical; it is neither strictly bottom-up or top-down. Design intrinsically involves the discovery of new goals. Used to help user interface architects to turn ideas into successful systems, though not guaranteed to work flawlessly. A set of fundamentals to assist interface designers optimize usability. These are benefits that are derived from Academic Research and if used properly will assist the designer in creating a Successful Interface. Algorithms and Prototypes assist the development of User-interface Software Tools which can be used for Rapid-Prototyping. Soliciting and clearly specifying user requirements is major key to success in any development activity for a successful end result. System Requirements, whether it be hardware, software, system performance, or reliability, must be clearly stated and agreed upon. Team must have clear understanding of requirements. Tools which construct interactive user interfaces must support rapid development and component and modular development through ethnographic observation. The ability to rapidly prototype the look-and-feel leads to early and immediate feedback. C#, VisualBasic.NET, Expression Designer, etc. Many software development projects fail to achieve their goals due to poor communication between Developers and their business clients/users. also know that careful attention to user centered design issues during software development dramatically reduces development time and cost. Understand policies in work environments and family values in homes. Familiarize yourself with the existing interface and its history. Gain access and permission to observe or interview. Follow any leads that emerge from the visits and record you visits. When a current interface is being redesigned, reliable data about the distribution of task frequencies and sequences is an enormous asset. If current data do not exist, usage logs can quickly provide insight. How is the interface used? “Day-in-the-life” helpful to characterize what happens when users perform typical tasks. Write scenarios of usage and then if possible, act them out as a form of theater, effective with multiple user cooperation. Interactive systems often have a dramatic impact on large numbers of users. To minimize risks, a thoughtful statement of anticipated impacts circulated among stakeholders can be a useful process for eliciting productive suggestions early in development. Anticipate changes in job functions. Describe accountability and responsibility for system misuse and failure. propose a process for making decisions discuss expectations of how stake holders will be involved. recognize needs for staff,training and hardware. outline a plan for migrating to the new system. Describe a plan for measuring the success of the new system. As user interfaces have become more prominent, serious legal issues have emerged. Medical,legal, financial, an data that can be used for unapproved access illegal tampering. . User interfaces for aircraft, automobiles, medical equipment, military systems, utility control rooms anything that can effect a life or death situation. developers who patent software who attempt to recover time and money spent on the project and make a profit. Do customers have the right to store the information electronically for later use, can they share this copy, do you own the contents of an email. Do users have the right to make controversial or potential offensive statements through e-mail or list servers? International, Federal, State, Municipality, etc.